Though the effectiveness of security by obscurity is doubted by many, but it may still help when targeted by poorly-scripted automated attacks. Hiding the fact that a site is using WordPress can also allow the website to look more professional, improve the branding and perception, which are important especially for business websites. Here’s a few steps that you can take to remove all the references that giving away the clues that the website is running on WordPress. The methods do not actually prevent sophisticated hackers and attackers to find out that it’s WordPress, so it does not actually make the site more secure. It just attempts to hide and remove as many clues that link to WordPress as possible. Most WordPress theme includes a profile attribute for the HEAD element which specifies the location of a meta data profile. Though it’s not WordPress-specific, but the default themes and most third-party themes for WordPress do include an identical value for meta data profile attribute in HEAD. Remove this line completely if found. WordPress automatically generates many links such as RSS feeds, start post, adjacent post, parent post, short URL and etc. in the header. In addition, it also adds an meta tag for generator which reveals itself as which version of WordPress is installed. These links and meta tags are automatically inserted via wp_head() action hook within the <head></head> section. For each script that is been used by WordPress, plugins or themes, you’ll need to copy the script to a new folder location which does not give any hint that it’s related to WordPress, then deregister the default WordPress script with wp_dequeue_script(), and register the script again in its new location with wp_enqueue_script(). Check out example below for the code. comment-reply.min.js is used to support threaded (nested) comments. So if you don’t use threaded comments, or don’t even enable the comments, you can go to Settings -> Discussion, and unselect the Enable threaded (nested) comments x levels deep in Other comment settings. If you’ve many scripts, you can also take a look at Use Google Libraries plugin, which makes the WordPress to use the content distribution network side of Google’s AJAX Library API, rather than serving these files from your WordPress install directly. When gallery shortcode is used, WordPress adds inline styling CSS on HTML output. Add the following PHP code to active theme’s function.php to remove the CSS. After doing this, you’ll need to add your own custom style for gallery on the frontend. Add the following PHP code to active theme’s function.php to remove the CSS. After doing this, you’ll need to add your own custom style for Recent Comments widget on the frontend. WordPress allows the default content directory, wp-content, to be changed. Follow the steps to change or rename the wp-content (and also themes, plugins and uploads) directories. If you allow end-users to login to the administration backend, you probably notice that WordPress signature and logo are imprinted almost everywhere. To get rid of WordPress in the administration backend, try White Label CMS. The White Label CMS plugin is for developers who want to give their clients a more personalised and less confusing content management system. It allows complete customization of dashboard panels and logos, removal of menus, giving editors access to widgets and menus, and etc. A lot of important WordPress core files start with ‘wp-‘. These WordPress core files are vital for the running of the website, but it shouldn’t be visited by anybody. When a file starting with ‘wp-‘ responded, even with PHP error, it gives away that the website is powered by WordPress. Then, add the following code into .htaccess to allow wp-admin to be accessed via another URL of your choice. In the following example, backend is used. So, to access WordPress admin page, visit http://www.domain.name/backend instead of http://www.domain.name/wp-login.php. Note that the redirect rules above may break WordPress functionality, and causes unknown effect such as breaking themes and plugins, especially if you are not renaming the wp-content directory. If you’re encountering issue, you can make sure of alternative below. The good thing is that the subdirectory can be made up of any name, allowing webmasters or developers to use a name made of random characters and/or numbers to obscure the URL. For example, http://www.domain.name/abcdefgh789/wp-admin/, making the existence of WordPress harder to be known if the admin URL is kept secret. 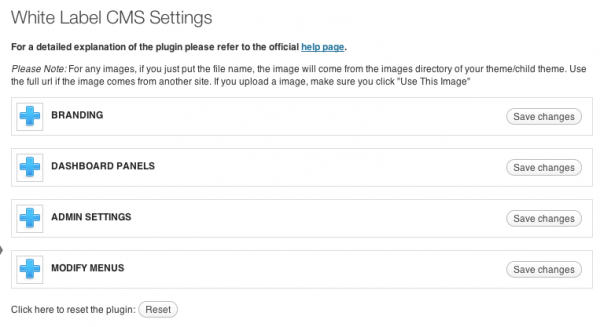 Create the new location for the core WordPress files to be stored (e.g. /hidewordpress). In the box for WordPress address (URL), change the address to the new location of your main WordPress core files, e.g. http://www.domain.name/hidewordpress. In the box for Site address (URL), change the address to the root directory’s URL, e.g. http://www.domain.name. Move your WordPress core files to the new location (i.e. /hidewordpress). Copy the index.php and .htaccess (if available) files from the WordPress directory (WordPress address) into the root directory of your site (Blog address). Open your root directory’s index.php file in a text editor. If you have set up Permalinks, go to the Permalinks panel and update your Permalink structure. If a website allows direct authoring and editing from end-users, chance is you don’t want them to see the wp-admin in the URL too. However, wp-admin is used extensively in the code of WordPress and hard-coded in source, so any attempt to modify wp-admin directory may bring unforeseen consequences, and in worst case scenario, rendering the WordPress failed. If you intend to rename wp-login, try to follow the guide provided by hakre, which is based in mod_rewrite to rewrite all requests to the new name to /wp-admin, and a plugin that adds a filter to replace /wp-admin to the new name in the output.